Power banks. They’re a fact of life today. We all want to be on our phones constantly, but you’re lucky to get 2 or 3 hours out of a charge if you’re really using the phone to its fullest capacity. Most of the time we all manage to get through the day without recharging, but if you rely on your phone for all your communication, it’s hard to do. That’s where power banks come in. Most power banks are nothing more than off-the-shelf rechargeable batteries with just enough circuitry tied to them to work. They take in power, store it, and charge your phone when you need the charge. They aren’t super-advanced technology, but then again they don’t cost a lot either. Power bank capacities are measured in milliamp-hours, or mAh. It takes about 2,500mAh to charge the average phone once. So a power bank with 10,000mAh capacity will charge the average phone four times before needing to be recharged itself. 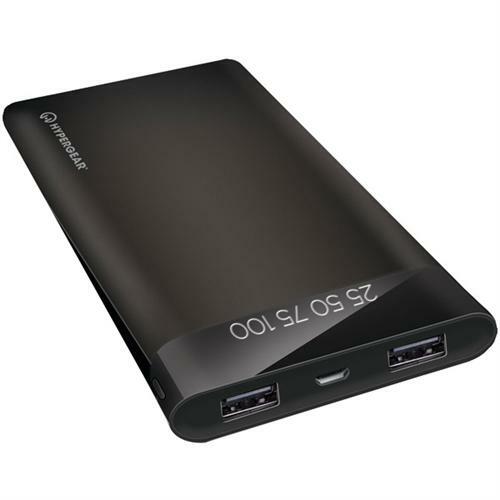 Another important measure of a power bank is its output power. If the power bank can only put out about one amp (1A) then it will charge a phone slowly. An output of at least 2.4A will charge most phones at “fast” speed which is what you’re used to. A phone will only charge at its own max rating; if you plug a phone into a charger that can supply 2.4A, it won’t overload or anything if it can’t use that extra power. If you cut one of those open you’d probably see a rechargeable AA battery inside, which explains the shape. This type of powerbank usually clocks in at about 2,500mAh. It’s a good thing to keep in the glove box for emergencies or carry with you on a day trip to a convention. This kind of power bank only carries one charge in itself and usually can’t charge at the higher 2.4A rate. It’s fairly rare these days, but you can still find mid-sized power banks like this one that have 4,000mAh capacity. Some can charge at the faster 2.4A rate, some cannot. Personally I like these mid-sized power banks. They’re a little smaller than a deck of cards generally and carry enough capacity to charge your phone almost twice, or charge a tablet once. That might be all I need to get through the day. Something this size is still very pocketable so I don’t need to find a place to put it. The most common power bank size right now is the roughly 10,000mAh size, like this one. This power bank tends to be about the same size as a smartphone and that makes it attractive just by itself. Power banks like this one will give you up to four charges for your average phone and that makes them a good choice for traveling. Generally this sort of power bank has two USB connectors so you and a friend can charge at the same time. 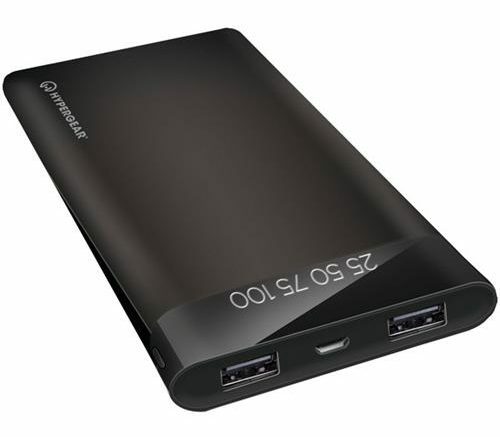 You’ll also find mega-sized power banks like this one which clocks in at over 20,000mAh. This is the sort of power bank you want to bring with you on a camping trip or very long car trip so that you know you won’t run out of juice. You’ll get about 8 phone charges out of this bad boy, but it’s going to be way too heavy for you to want to carry around. It’s also about the size of a paperback book. Personally I have five power banks in different sizes. I keep one in the car just for emergencies and I travel with the other ones depending on what I need. Sometimes I’ll bring more than one so that I know I’ll be covered. When you’re ready to shop for a power bank, find a great selection and the best prices by shopping at Solid Signal. OPINION: Apple about to ditch the Lightning cable?